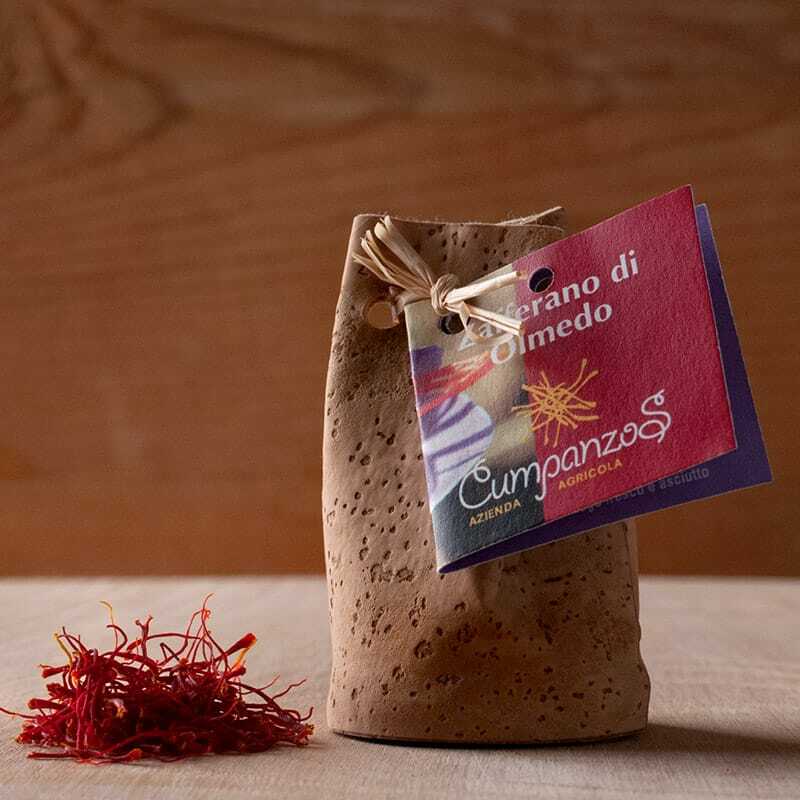 Saffron is one of the rarest and most cherished ingredients in Sardinian cooking. It's so valued on the island that a festival is held to celebrate its qualities every year. Saffron comes from the stigma of the saffron crocus. It can take 70,000 or more crocus heads to produce just one pound of precious saffron. The spice is equally as prized for its subtle flavour as the rich colour it imparts to dishes. A little of our organically grown "Mountain Gold," as saffron is known locally, goes a long way. Just a tiny pinch of saffron is all that's needed to add a special zest to risottos, fish dishes, soups and stews. Steep a little in water and add it to our arborio rice, which is perfect for risottos. Saffron is a natural antioxidant and has always been held to aid the digestion too. Presented in a charming cork bag, our organic saffron is a great environmental choice as well, since the packaging is from an entirely renewable, sustainable source.